If we hope to move forward, the UX community must go deep. We’ve been seduced by surface at the expense of understanding. We think we’re designing software, websites, and experiences. But we’re not. We are agents of change. Until we accept this mission, we will forever repeat our mistakes. How can we work together when we’re divided by silos? How will we innovate while blinded by cultural illiteracy? The things we make are reflections of the language we use and the ways we organize ourselves. It’s time to stop twittering about unicorns and start shaping strategy. It’s time to be architects of understanding. 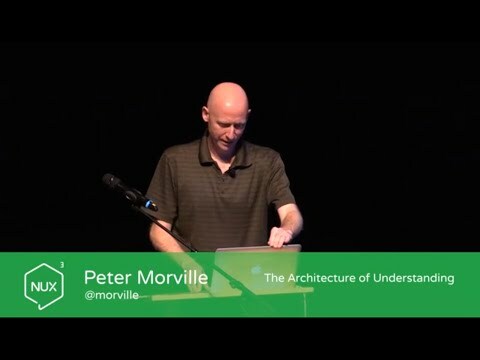 In this spirited tour of information architecture, organizational strategy, and systems thinking, Peter Morville draws from his new book, Intertwingled, to reveal how everything is connected from code to culture. It’s a trip into the wilderness of cognition and complexity that delivers a simple message: the UX community can change the world, but only if we have the courage to go deep.